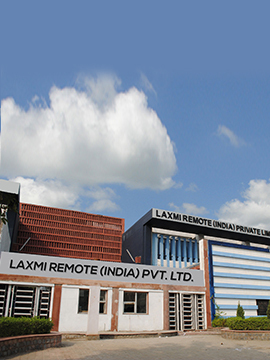 Laxmi Remote (India) Private Limited, popularly known as LRIPL, is a well established company, in the field of remote control solutions, the company incorporated in 1995 & within a span of 23 years LRIPL has emerged as a leader in the remote control segment by offering best of the quality and customized Remote Controls Solutions to its customers not only in India but also, in the international Markets. Highly efficient equipments and use of latest technology has made Laxmi remote the most preferred manufacturer of remote controls & Set top Boxes. The approach of laxmi remote has always been innovative driven which simply gets reflected in our products and services. Works perfectly with tata sky+ hd. Awesome remote for Tata sky.Buy it don't even think twice. It has all the as good as original remote supplied with Tata sky plus. We work with our partners to provide project perfection, our privilege partners.